Say the word “tour” in San Diego and the first thing that comes to mind is a swarm of helmet-wearing Segway-driving vacationers mowing people down on the sidewalks of the Gaslamp. But tours aren’t just for tourists anymore. Thanks to the booming craft beer industry and our growing foodie scene, companies are popping up all over town ready to show you everything food and beverage in SD. No helmet required. 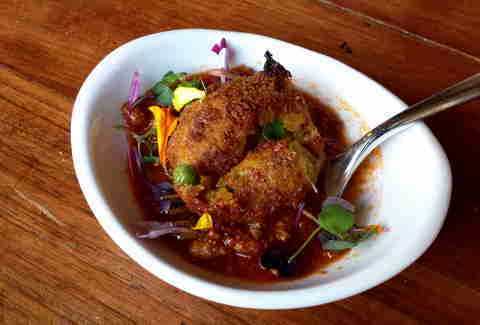 Bite San Diego began in 2010 when an SD native noticed that the local food scene had expanded far beyond just fish tacos. Now Bite offers guided walking tours through seven neighborhoods including North Park, Downtown/Little Italy, and Coronado. Each walking tour is about two miles long and visits five or more restaurants with samples available at each stop. These guys have a variety of tours for just about anyone who likes food. 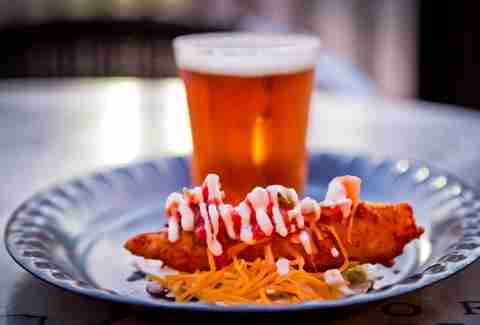 You can go on a historical food excursion like their Brothels, Bites, and Booze tour through the Gaslamp or the Tequila, Tacos, and Tombstones tour in Old Town, both of which will school you on the rich history of each area while you eat and drink along the way. 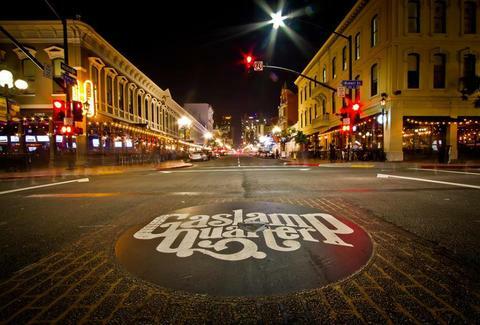 If you want to give it a go without a guide, their Scavenger Hunt tour will provide you with the clues you need to find your way, the things you are supposed to say when you arrive, and what you will be tasting at each destination in the Gaslamp. You can choose from other options like a VIP Dinner Tour, or one of their many different beer or wine-tasting tours as well. Since 2009, Turista Libre has been showing Americans how to see Tijuana like a local. Tour groups meet on the US side of the border and cross together to board a decommissioned American school bus. While some of their tours are food-focused, they’ll also have day trips to see Tijuana street art, visit the local markets, check out breweries, catch a wrestling match, or spend the day on the slides at the largest water park in Baja. It's like a field trip, but for grown-ups. There are more than 100 breweries spaced out all around San Diego, so hopping on a tour is a wise way to hit up some of the best with a knowledgeable guide and without having to worry about a driver. These guys offer tours seven days a week with a different route and brewery destinations for each day. 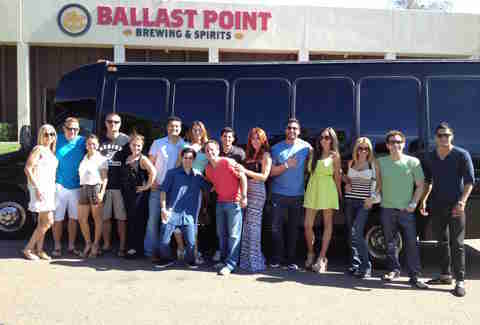 They pick you up either Downtown or in Old Town and take you to breweries like Ballast Point, Green Flash, and Stone. Food is included, and some of the tours will even take you to Malahat Spirits Company for some rum tasting as well. Brew Hop takes beer lovers for private brewery tours that are customized just for them. Whether you book the two-and-a-half-hour Taster’s Tour or the five-hour Connoisseur Tour, Brew Hop will send a professional driver and a VIP host to pick you up at the location of your choice and take you on a tour of local breweries that were picked to fit your tastes. 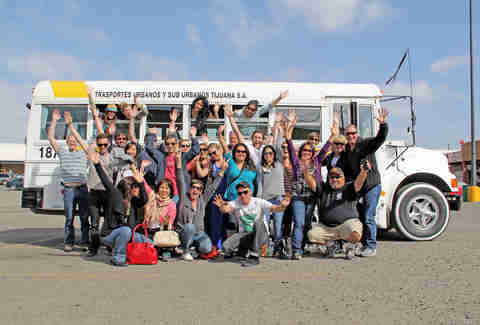 Let’s Go Clandestino tours pick you up at designated meet-up spots in San Diego and drive you across the border for a foodie adventure through Baja. Owner Angel Mirón is a Tijuana native and longtime bartender at San Diego’s beloved Hamilton’s. He will be your guide along the way as you visit restaurants, bars, breweries, and wineries from Tijuana and Ensenada all the way to Valle de Guadalupe. 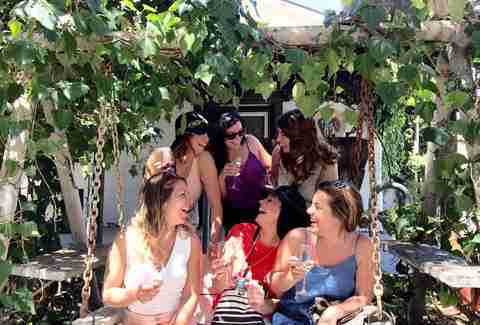 You can swish and spit your way thru Temecula with San Diego Winery Tours. A wine expert will take the group to three wineries where you can tour the properties, learn how wine is made, see hidden barrel rooms, and sample three to four wines at each stop along the way. On Saturdays you can cruise down to Valle de Guadalupe to get a taste of Mexico’s wine country. Stop at up to four wineries to sample the goods and dine on a gourmet meal at Hacienda Guadalupe. Club Tengo Hambre is a “roving supper club” started by food bloggers with a shared love for Mexico and Baja’s growing culinary scene. From the craft breweries and street foods of Tijuana and Ensenada, to the farm-to-table restaurants and wineries of Valle de Guadalupe, their tours will take you to delicious destinations throughout Baja. Each tour meets up at the San Ysidro border crossing and lasts four to eight hours. If you’re not much of a joiner you can still enlist the expertise of the Club Tengo Hambre guides on a private tour of the street foods of Baja, a private mezcal tasting, a personal chef, dinner and more. 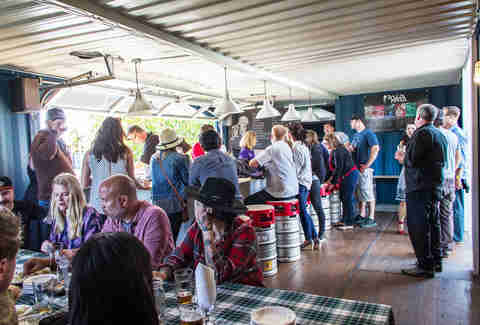 Hop aboard the San Diego Brew Tours bus for one of their daily craft brewery tours which will take you to three breweries where you will get to tour the facilities, sip on tasters and grab some food along with way. 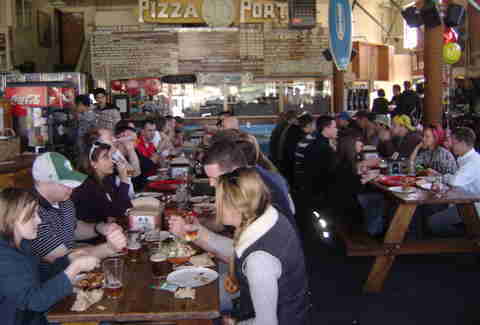 If you want to get in a little exercise while you drink, you can hoof it to Ballast Point, Bottlecraft Beer Shop and well-known Little Italy pizza spots on their weekend Walking Downtown Brewery and Pizza Tour. Their newest tour is the California Sunset Brew Tour. This daily outing will take you to two breweries before you end up at Draft in Mission Beach just in time to catch one of those glorious San Diego sunsets.